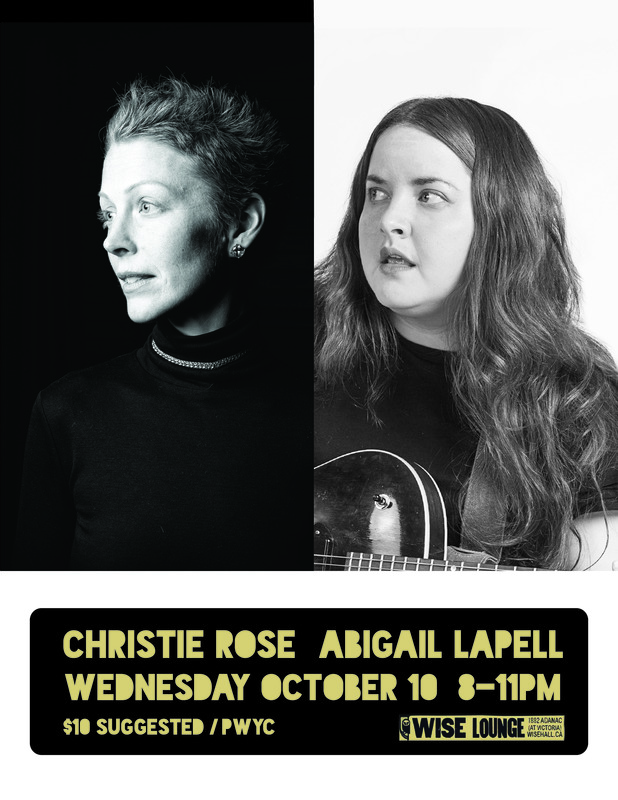 Toronto songwriter Abigail Lapell draws from folk-roots, indie and punk rock traditions. Her latest release, HIDE NOR HAIR, won the Canadian Folk Music Award for Contemporary Album of the Year. She’s toured to festivals and clubs across Canada, the U.S. and Europe, performing on vocals, piano, harmonica and finger style guitar. From a cheeky turn of phrase, to the ache of love and loss, to the vivid beauty and plain revelation evoked by small details, Christie Rose’s lyric-driven songs tread a varied range of observation and human emotion. With striking melodies, delivered in a voice both powerful and nuanced, she’s a singer/songwriter who’s in love with rockabilly, doo-wop, soul, rock n’ roll, country, atmospheric ballads, and poetry.